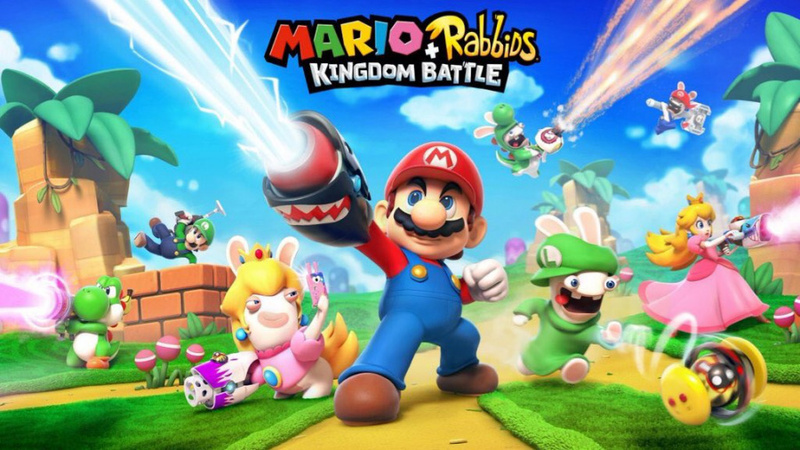 Perhaps one of the worst kept secrets in the industry right now is the existence of Mario + Rabbids Kingdom Battle, an upcoming crossover RPG which has been known in one way or another for months now. After a recent leak which showed off a bunch of official artwork for the game, its existence is in little doubt, though Nintendo and Ubisoft are still probably going to wait for E3 before confirming the rumours. As if the recent leak wasn’t enough, a Brazilian classification board has just posted a rating for the game to its website, listing Ubisoft as the producer. Though nothing is set in stone until an official reveal, it’s pretty safe to say by this point that the surprise has been ruined. It’ll be interesting to see what this one looks like when it gets shown off in full at E3, as the internet seems to be rather divided on the idea. What do you think? Does this game sound like something you’d be interested in? Drop us a comment in the section below. I'll reserve judgement until I see a trailer and some gameplay. I haven't been this curious about E3 since splatoon was shown. @Malcrash Honestly I'm cautiously optimistic. The leaked stuff looks pretty good, and I don't have anything against the rabbids. Especially if this was made in part by the Mario & Luigi team, it's gonna be good. @SwitchVogel Didn't know this was being developed by some of the hands responsible for Mario & Luigi. My optimism just went up a bit. im still sicken, but curious. I want to say I'm excited for this game but I hate the rabbids. Please don't dirty Mario's good name with this. please! @JTMnM I'm not sure, but I think I remember reading that somewhere! It's still mostly done by Ubisoft tho, maybe the M&L team just did the battle system or something. I will be honest, I'm kinda hyped. I wonder if Ubisoft will show this at E3 or Nintendo. Maybe the kingdom battle will rev into Super Smash Bros? Not the biggest Rabbid fan here, but this game could be interesting. Guess we will see at E3. Is it what I wanted? No. Does the concept sound cool? No. But the images and information is getting me super interested in the game. I'm actually excited to see the full unveiling for this title now. This game doesn't look like a E3 Material, but whatever. Those Rabbits are fun for some time, but get's annoying. I've gotta be honest, the more I look at the artwork, the more promising it appears. But god forbid, one of those things opens its mouth and goes 'WAAAAAHHH!! ', all that is down the toilet. I'm not saying the game will necessarily be bad. It'll just be quite annoying going through the game with those fermins in tow. It'd be cool if the Rabbids were like a way for Rayman and gang to get together with Mario for a cool crossover game. Hmm, where are all the people from the previous article who said this wasn't real or wouldn't happen? Not like I care much about this game. Rabbids are the Minions of video games, but I'm sure there's people who will enjoy this. I do not understand why it is still called an RPG? It is clearly a shooter like Splatoon and in the leaks said the story mode is only 30% of the game with approximately 20h of gameplay. If it is indeed an RPG it is the worst ever done. I think this looks cool enough. I'm ambivalent about the Rabbids but will keep an open mind in this one. Is that a water canon Mario is holding or is it a laser thing? I'm guessing it may transform rabbids into normal characters again. A kind of zany zombie game maybe? I don't want to have an opinion on this until we know more officially. But Ubisoft want to be doing more than this rabbids game, for Nintendo to give them this I expect that to lead to a lot more from them for the switch. Okay, now that that is out of the way. I'm optimistic about this game. I like the Mario RPGs and the rabbids don't annoy me. Maybe because I've never played a rabbids game, I did see the show when we still had that channel but that's been a few years already. Yeah Rabbids Go Home was a bit scruffy but it was alright. Lets see what it looks like and how it plays. Hurrah, Nintendo's 2 big E3 games. New 3D Mario and Kingdom battle! But seriously, this game could be great (minus the Rabbids). I'll just wait and see! Damn leakers love to take the fun out of everything. Surprise announcements/trailers is what I look forward to the most at E3. Splatoon's surprise announcement floored me - I was hoping for similar feelings this year. Remember that Simpsons episode, where Homer chases his prized pig hijacked from his BBQ? "It's just a little dirty! It's still good, it's still good!" That's what I think of people who are still denying this game's existence. "There's even more irrefutable proof! It's still fake, it's still fake!" @setezerocinco It's not a shooter - it's turn based combat. "Bu...but...LKD is a filthy liar! Sh...she got lucky...!" Indifferent to Rabbids, but more Mario RPGs are welcome in my book. Drama queens' distress is drama queens' problem. @setezerocinco what even...you're basing your broad assumptions off of what, exactly? Worst ever done? You've seen one screenshot and you're saying 'worst ever done'? What are you so butthurt over? And no, from what we've seen it is definitely NOT a shooter like Splatoon. Looks more like a tactical RPG like FF Tactics or something similiar to Fire Emblem. RPG is a broad genre. I'm quite excited for this one. It's just such a bizarre crossover & concept it's hard not to be intrigued. Something a bit different from the same old same old you know? Why all the hate for the Rabbids? Yeah, Ubisoft has driven them into the ground a bit, but they can be quite fun. I got the first game when it first arrived on the Wii. It was a blast. And even some of the sequels were kind of fun. The TV show is (was?) actually pretty funny too. There's some surprisingly intelligent humor in there. Cool, but I've still never played Rabbids! Looking forward to Just Dance: Zelda Edition. The biggest mistery is that Nintendo has halted its activities in Brazil since the Wii U failure. Could that mean they're coming back? Or that this is going to be a mobile game? ...Are people still trying to argue this is fake, now? They were the ones who probably made the fake. Either @Nookingtons is right, or Nintendo just said "[f-bomb] it" and allowed the rating to surface. Take your pick. As long as it has a kid-friendly rating, I'm fine with it. I don't think Nintendo would agree to any collaboration that openly smears Mario's reputation, but that advertising used some mild language: "Bad a" "Kick a"
Can't say I'm a fan of Rabbids, but if the gameplay is good, I'm in. I'll wait and see. I have absolutely no desire to play a Rabbids game. None. But will likely stomache through it to play a Mario RPG. Seriously Nintendo, you couldn't have picked a better class of character to have Mario and pals hang around with? I still don't get the constant hate for Rabbids. I haven't played any Rabbids games, but not because of the Rabbids but because ever one I looked at looked like a mini game collection and was very poorly received by users on a gameplay basis. This whole "Rabbids are awful" thing (other than that Rabbids games seem to actually have been awful games most of the time) seems new. But seriously, can Ubisoft actually keep a secret about anything? We heard about NX for years, still had no idea what it was until the leaks just before release, and most of those were leaked by hardware tech partners and small devs (and probably Ubisoft.) And NONE of the games (except this one) were known. How can Ubisoft not contain these things? I've always liked the Rabbids, ever since I got the first game on the Wii. Definitely looking forward to learning more about this game! I think a Wario x Rabbids crossover would have made more sense. Wario's aesthetic and style of gameplay (namely the WarioWare series) would have meshed a lot better with the Rabbids universe. Plus, Wario's grotesqueness would have complemented that of the even more grotesque Rabbids quite nicely. I'm curious enough to watch some footage, but I doubt I'll ever get the game. I'm not exactly fond of the Rabbids franchise, tbh. Nice of nintendo to give us that somewhat bad game eh Luigi? I hope this game turns out well, but can't really say I've got much interest in it currently. Maybe it will be surprisingly good for such a weird concept in the vein of Smash...just does not feel that way to me with the available information. It's likely from overexposure, much like what is happening with Minions now. Never did play any of the Rabbids games myself, but can remember them being everywhere during the Wii era. @NEStalgia Just peoples' tastes and poor design (in my opinion). Nothing more really. There is a lot put into character design that tug a peoples' different tastes. It's the ultimate goal of a designer to hit on the majority of the populations' sweet spots in terms of what is cute, attractive, endearing, powerful, etc. Some efforts hit the mark and some just don't. Just compare Rabbids to Minions. They are beasically the same thing (with some difference, I acknowledge). But look at how the mass market has latched on to Minions vs. Rabbids. Sure Minions had theatrical reach. But the Rabbids had their own TV series. The Rabbid series bombed. And the minor role the Minions had in the first Despicable Me movie grabbed the hearts of the mass market so much that they played a larger role in the 2nd movie and even spawned a movie of their own. Simply, the designers did a better job of making Minions endearing than the designers did with Rabbids. Personally, I find the Rabbids vacant eyes, maniacle tongue waggling and general disposition off-putting. Whereas I find humor and intelligence in the eyes and disposition of the Minions. Two very similar (Not the same, I know) characters. One just designed much better than the other. To me at least. Nothing more than that. @sillygostly I totally agree. Rabbids' disposition just don't fit with Mario's lighthearted romps. You hit the nail on the head. @AcesHigh If it were just people not liking Rabbids as much as Minions, that's one thing. But the reactions here have been more like "oh no, Rabbids are HORRIBLE this game is going to be terrible because the Rabbids are in it!" It seems like particular dislike of them. @NEStalgia Well.... It's because people don't like Rabbids. Kinda like I said. Not sure how else to put it. Maybe more to the point, I can say from my own perspective (not speaking for any particular group of Rabbid lovers or haters) I see ANY Mario release as a treasure. ESPECIALLY an RPG! So when I see that release is tied in with a character or group of characters that I really don't like in the least bit, I see it as a waste of a good Mario game. Just me. But I'm prolly not the only one. I'll pass on this one, never liked the Rabbids just like I've never liked the minions. @D_e_A_c_T I know liberals think otherwise, but I don't have to pretend things are real that aren't so I don't hurt someone with a mental illness' "feelings"... Deal_with_it. I hope Nintendo has a lot more up its sleeves. ANYONE could be forgiven for thinking this was fake. Thoughts? It could be a game aimed at younger gamers. By the way, NinLife mods, this is one of the many reasons I left. Not that I contributed much here, but there are a bunch of people here who really aught to tone it down with this stuff. Especially every time Laura comes into the picture. Like, I can deal with your deeply unfunny (sorry, I'm leaving after this so I might as well say my peace) videos or your review that I do not agree with (SFZero, an 8? ), but the fact that you guys will yell at someone for foul language but not do anything about abusive, anti-LGBT comments like this, really irks me. Im happy to engage people politically, but I dont come to nintendo forums to do that. So have some standards here. As for you, @LetsGoRetro sounds like you need a safe space. Seriously. Live and let live right? Claiming transgendered people suffer from a mental illness makes me sick. How can you live with so much hate and anger in your heart? Life's so, so, short. Just be kind. That's not very hard to do. No body, especially not any "liberals", are out to get you. The comment section is off. Why is no one talking about the point of the article, Brazil? We are getting​ Nintendo back to Brasil! At least they're not Minions... Oh, the horror! @Mainsaile Yeah, I saw them. Even so, I still believe this is real. There's been talk of this for months, ratings classifications are starting to show up, and the art looks legit typos aside. I would be very surprised if this turned out to be fake! @D_e_A_c_T thank you for saying this. The hate speech is really upsetting. I've seen Mario characters pimped out in many ways before, but "this" combined with curse words seems suspect to me and couldn't see Nintendo allowing that for the sake of kids who play Mario. Also, considering Mario has a major release game later this year... I dunno. While the game concept is interesting, the racy-ness seems a bit much. I'll believe it when Nintendo/Ubi confirm or deny it. I've seen worse from both Nintendo and Ubi. Looking forward to seeing more of it at E3. @D_e_A_c_T Safe spaces are a liberal creation. I didn't claim anyone was out to get me. What you fail to realize is that something isn't inherently wrong just because it hurts your feelings. Not agreeing with =/= hate. I am allowed to believe an unnatural process is just that, unnatural. You can feel however you want about it. If I decided I was a tree you would laugh at me. You would say I surely should be able to tell I am not a tree. So, maybe you decide it would hurt my feelings to tell me so you're just going to go on telling me I am a tree. The question becomes are you doing me a favor by not hurting my feelings? Or are you doing me a disservice by playing along to save my precious feelings. This is logic over emotion, bud. Toughen up, ya know?